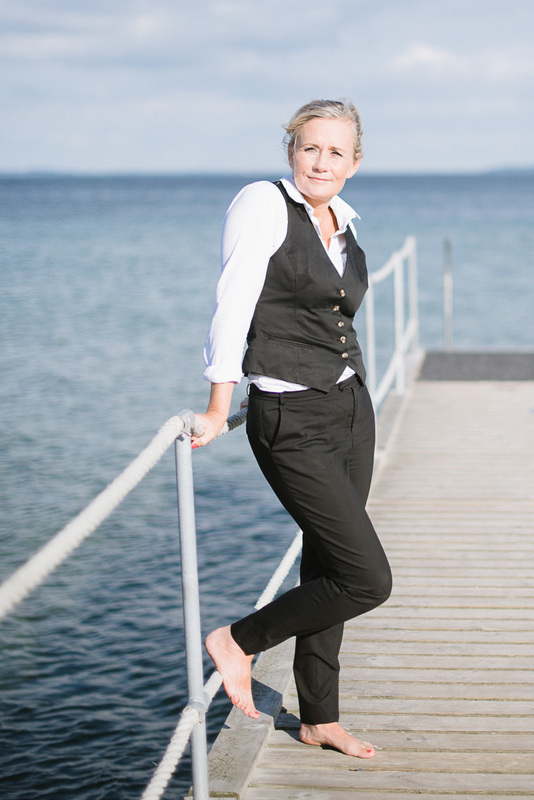 Gitte is a freelance journalist and I was delighted when she contacted me this summer to do her business portraits. 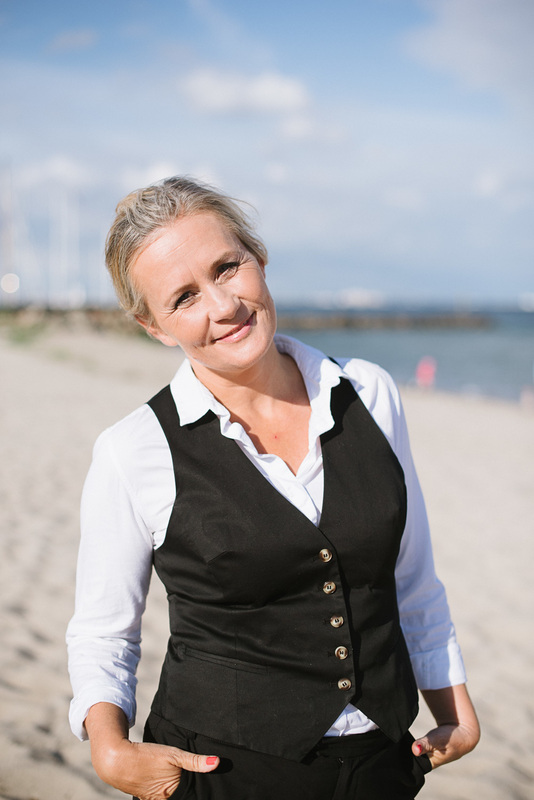 She wanted to meet at Espergærde beach, and it proved to be the perfect location. She had clear ideas about what she wanted to wear and her friend, Kristina Henriksen, did her beautiful make up. However, what stands out most in these images is how relaxed she is in front of the camera. Thank you Gitte for a delightful late afternoon spent photographing you, and thank you to Kristina for the beautiful make up and for taking some behind the scenes images of me on this shoot. You can see them on my facebook page. Rather funny seeing myself at work. After receiving her photographs Gitte shared some on facebook and her words were really touching; "I think standing in front of a camera can be overstepping a boundary, that was until I met Rochelle Coote. I don't know anything about cameras, lighting, angles etc., but I know it is not only that, it is also about the eye that sees, confidence and trust. This I have in her, even when she has the camera so close to my face, which is definitely overstepping a boundary. However, not with Rochelle behind the camera. And then she is just so sweet. I have a pile of beautiful photos which I feel are a reflection of the real me."